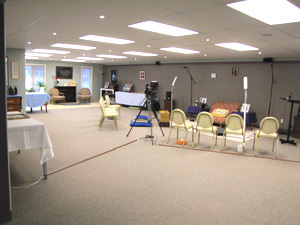 Meditation Retreat Center Ohio. Spiritual Retreat Center. 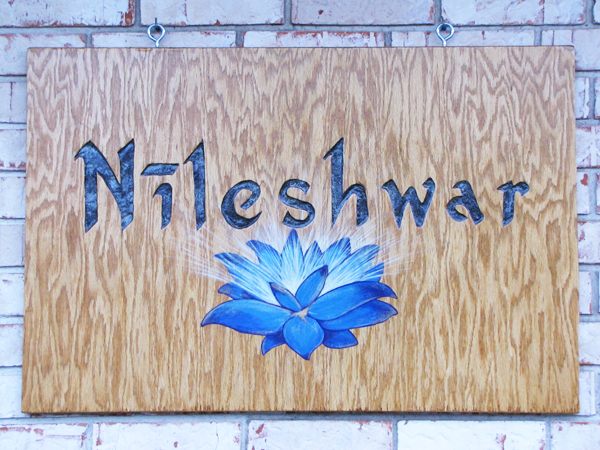 Welcome To Nileshwar, our meditation and wellness retreat center. Your Spiritual Home! We are located in Youngstown, Ohio and serve Ohio and PA! 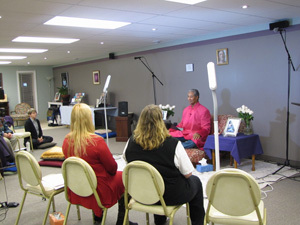 Nileshwar Shaktipat Meditation, Wellness & Spiritual Retreat Center is the regional hub for all of our curriculum of study offered in the region of Ohio and Western PA. Nileshwar (it means the abode of the Supreme Being) is located in the greater Youngstown area of Boardman, Ohio. 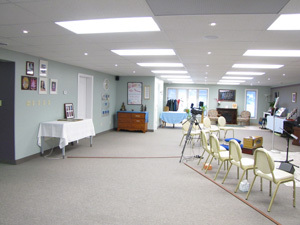 There is a large, bright and beautiful meditation hall with separate kitchen and dining area. You will find accommodations for courses, weekend Shaktipat retreats and retreats of up to a week in length. Accommodations are also provided for short stays for people from out-of-town wanting to attend programs and mini courses, and to perform Guruseva. 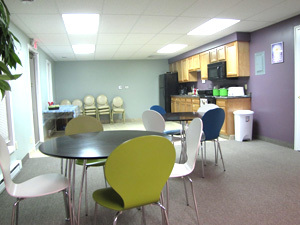 Additional accommodations are provided in nearby hotels. 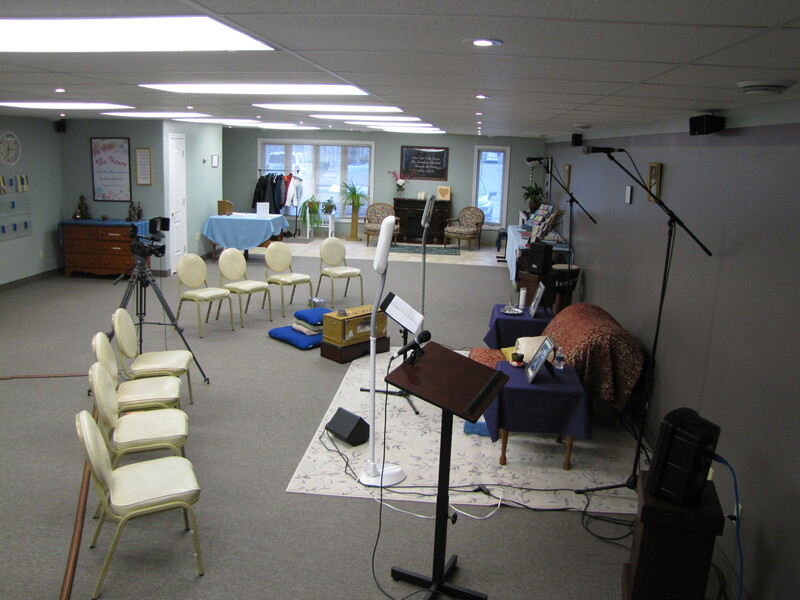 **The meditation hall is handicapped accessible. This meditation retreat center is where our Nityananda Shaktipat Yoga and Total Well-Being curriculum is taught. For people wanting to spend time in Sadguru Kedarji’s company, you will find Nileshwar to be a perfect setting. Here you can bask in the solitude and serenity that comes with immersing yourself in meditation, chanting, selfless service, contemplative study and more. Sadguru Kedarji’s Shaktipat Blessing is offered here. 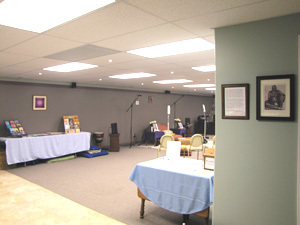 Soma Essential Healing practitioners also lead programs here. **Nileshwar retreat center is only a 60-minute drive from Pittsburgh, PA, 60 minutes or less from Venango and Mercer county, PA and 75 minutes from the greater Cleveland, OH area. Nearby airports are Pittsburgh International airport, Youngstown/Warren regional airport and Cleveland Hopkins International airport – all within 60-90 minutes or less from meditation retreat center. The renowned Mill Creek Park is located just minutes away. The Mill Creek Nature Preserve is also nearby. Mill Creek Park is a metropolitan park located in Youngstown, Ohio. It is ranked as one of the largest parks located within the limits of a US city. With beautiful walking trails and open fields, it encompasses approximately 4400 acres. There are a variety of bridges, ponds, streams, well-tended gardens, and waterfalls. This environment makes our meditation retreat center a great place for solitude, meditation and the beauty of nature – in an area where all the necessary amenities are easily accessible.